This finely crafted medallion, made from only the highest quality organic free-range digital bits, is presented to Acowlytes who have achieved worthiness above and beyond the call of duty. ☆Dewi Morgan for outstanding work above and beyond the call of duty on this post. Dewi used sheer brute force calculation to give us an insight to what’s on the magnetic strip of the nutty Shoo!TAG™ This is the first Cow Medal to go to a first-time commenter! Dewi also wrote a Shoo!Tag decoder, a feat of coolness that puts me forever in awe of him. 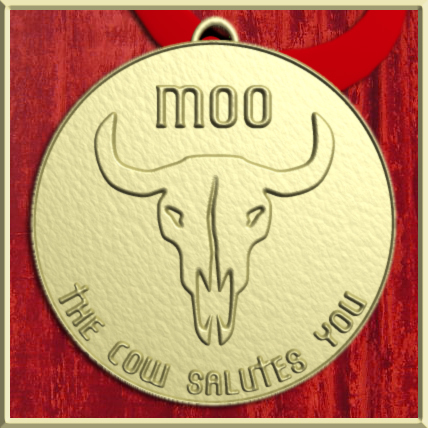 ☆MomentumV also earns a medal for his work on the Shoo!Tag saga. I hereby dub these two chaps, Code Detectives to the Service of The Cow. The Cow salutes you both! ☆Another for the inimitable Sir Joey Polanski for providing a recipe that has the simultaneous properties of being nourishing and an emetic. 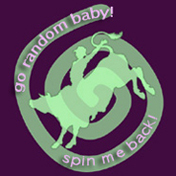 ☆Tim Scanlon for the awesome poem in the comments on this post. 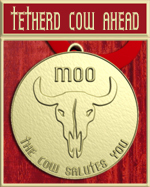 Tetherd Cow Ahead is powered by	WordPress 4.2.23 and delivered to you in 0.347 seconds using 81 queries.